Bad karma kicks asses. Vengeance is intoxicating! Good karma, kisses….ummm….whatever you want her to kiss. What kind of karma has your WordPress menu been blowing up in the air? But first, how do we decide that? Let’s see it this way. Is your menu so elaborate, visitors feel stuck up in a maze when they try to land at a specific page on your website? Or is it so disgustfully sticky and static that your visitor gets glued up on a single item even seconds after clicking on another one? Is your menu so hard to manage, it makes your back-end manager cringe in horror when he has to open the dashboard? If these are the cases, your menu, sure, is piling up a lot of karma backlash for itself. But don’t sweat it. Things can be made right and bad karma can be nullified with good karma. Here are 8 divine plug-ins that would help you make a better menu out of your present one. With flexible layouts and easy to customize options, Uber Menu is the best way to create wonderful menu layouts. Equipped with a full grid system, Uber Menu is responsive and mobile optimized to help you create mega menus from your pages and posts. The user interface is a breeze to use for easily managing menu and submenus with a few clicks. Do you run a content heavy website/blog? Does managing menus and adding, deleting and managing posts/pages eat away your time? Well, Advance Menu Manager is here to solve those problems. It provides a sleek, comprehensive user interface to offer you complete details about your menus. 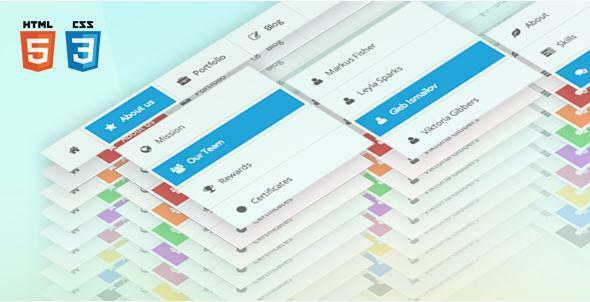 You can easily add and manage menus from a single user interface without going back and forth. Its revision and short code functionalities are worth checking out. This plugin lets you create sticky plugins easily. You can use it with your existing theme and accordingly offer the best experience to your site visitors. The plugin has 10+ new styles for creating sticky menus and it is mobile-ready too. Plus, the plugin has optimized CSS and optimized JS too. Use this plugin to create eye-catching navigations for your website. Its drop down feature uses CSS/XHTML and has 3 mobile versions. Choose from 9 color schemes, used forms, grid system etc. to smarten the navigation. You can have unlimited number of levels for your menu. Sky Menu offers a 100% responsive layout and the grid system has 6 columns for your various needs. Lastly, it also supports CSS3 Animations. 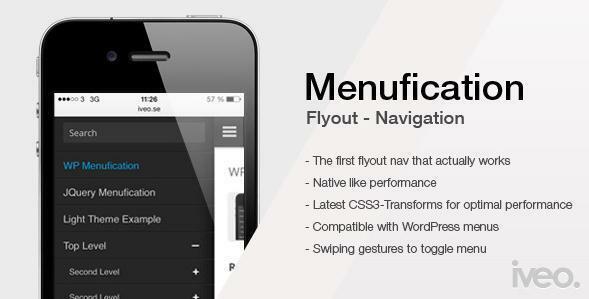 The Plugin offers rich elements including styling features to make your site’s navigation awesome. 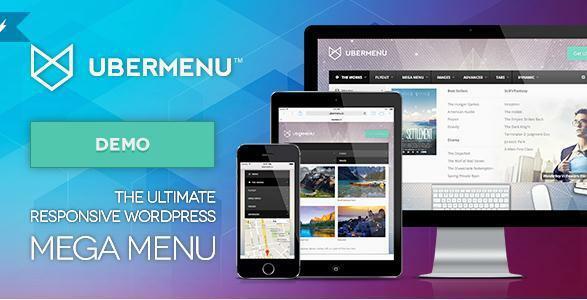 Inspired from Facebook, the WordPress Menufication Plugin helps you with navigation of your website and improves the overall visitor experience. 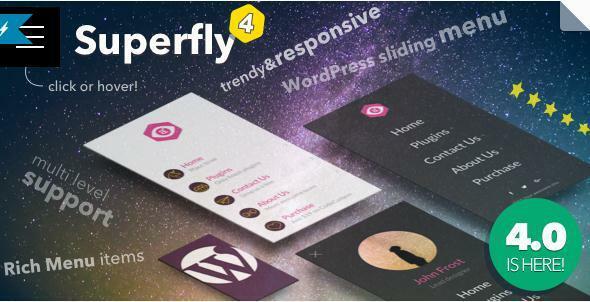 With this plugin installed, you can easily customize the menu into a responsive fly-out menu similar to Facebook. Want to customize the drop down menu of your website? The Mega Main Menu Plugin will come to your rescue here. 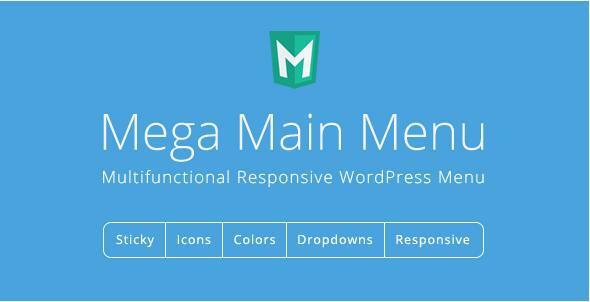 With 10+ dropdown customizations to choose from and access to 600+ Google Fonts and 16000+ Vector Icons, the Mega Main Menu is the best responsive menu plugin you are hunting out for. There are times when you don’t want specific users to have access to your WordPress Website Features. 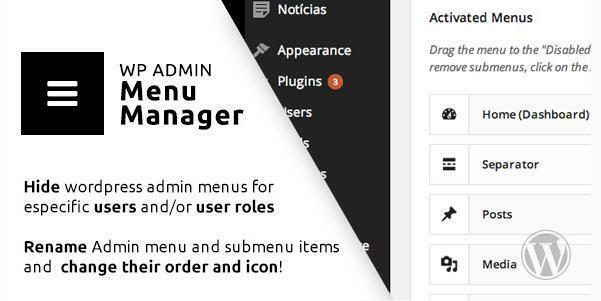 If you are looking forward to install a plugin that lets you hide some items or features, the WP Admin Menu Manager is what you need. 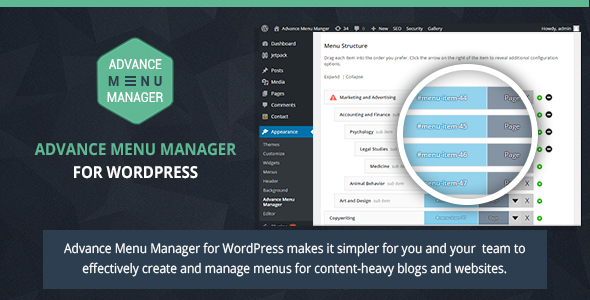 The plugin offers lots of handy functionalities like hiding menu and submenu too. You can even change the labels, reorder menu items and even apply newly created menu setup to one or more users as per your requirements. Did we miss out on any plugins? Let us know your thoughts and opinions in the comments below. Let’s share something great together and help the WordPress fraternity.